We would be pleased to hear from plumbers who are prepared to work on a subcontract basis. Work is on an adhoc basis, as and when calls are received. Successful applicants would be placed on a call-out rota. Plumbers must hold a current Unvented Water Heater qualification. Proof of this and the renew date will be asked for. Defined scope or full scope Part P electrics an advantage. 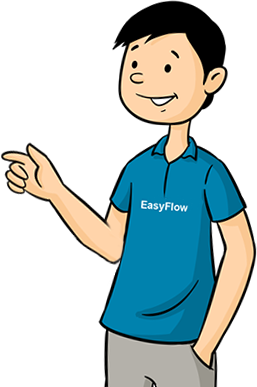 EasyFlow is in the process of establishing a franchise network of plumbers who are looking to own their own business, working to a proven formual with support and back-up. Applicants must have qualifications and experience servicing and maintaining unvented and thermal store water heaters. We will promote the services of tradespeople in cities across the UK and will ensure that clients receive good service at a fair price and that you do not get tied-up in paper work. Quick and reliable service, no mess. Thanks EasyFlow! EasyFlow very good service. There as soon as my boiler broke, came out to fix it, up and running again. Response of the company was very good. I will always use them, never let me down. Thanks for the quick service. Impressed, hot water back working on the same day. Brilliant, thank you for your efficient and professional service. Problem free service. The engineer who came to check the boiler was very friendly and knowledgeable. EasyFlow have always provided a reliable and prompt service. In a climate where electric boiler plumbers are hard to find, it was a relief to discover their expertise. I know that as long as they are servicing my boiler annually, I do not have to worry about a thing. Emergency call to EasyFlow due to leaking valves from our boiler to the apartment below ours. They arrived on time, used genuine Gledhill parts (previous plumbers had not used genuine parts) all well and running nicely thanks to you. Highly recommended. Replacement of an old immersion heater was carried out at the arranged time with no hassle or mess. Brilliant service which I would recommend to anyone.